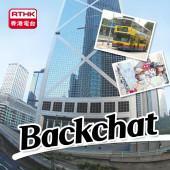 On Friday's Backchat, the French in Hong Kong. Le French May, the annual arts festival, is celebrating 25 years locally, while it's reported that the French are the fastest growing expat population here, with more than any other Asian city, and by some reckoning outnumbering Brits. Why are so many coming now - and why is French culture - food, fashion and language so popular in Hong Kong? How are expat populations changing, and what do French like about the city? What is the history of the French in an ex-British colony? After 9.20am, KMB drivers strike for better working hours .